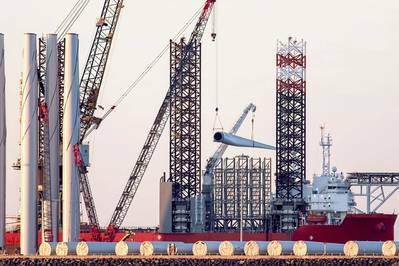 Based on the latest forecasts, engery-sector specialists Nautilus Associates claim more than £59 billion ($77 billion) could be invested in new offshore energy and infrastructure projects between now and 2040 in the Lowestoft and Great Yarmouth Enterprise Zones. The Lowestoft and Great Yarmouth Enterprise Zones, launched in 2012 and expanded in 2018, cover over 130 hectares of land and aim to attract at least 200 businesses, generating more than 9,000 direct jobs over its 25-year life span. To date, they have delivered a staggering 1,720 news jobs across 59 businesses. 55,000 sq.m. of new commercial floorspace has been built, attracting £48 million of private sector investment. The Zones are focusing primarily on the energy sector and its supply chains, recognizing the importance of the oil and gas, offshore renewables, and nuclear power sectors to the local area.